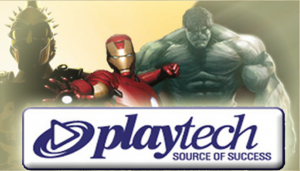 Playtech has announced excellent results for 2012 and is now placing its focus on the next big market, the United States. While not many details are known, Playtech’s CEO has confirmed the company has its eye on the US market. Until recently Playtech has been very quiet about its plans for the US, but recently the CEO, Mor Weizer, said that he will announce some news in the “not too distant future”. He made the comment while responding to questions from journalists and investors during an earnings call to discuss Playtech’s 2012 annual report. The only other thing Weizer said was that “developments are in their infancy” and that there is still a lot of work to be done to resolve regulatory, political and practical problems. Last year was an exceptional year for Playtech. It reported overall revenue increases of more than 50% and signed a number of agreements with operators such as Paddy Power, Betfair, Betfred and Gala Coral. Furthermore, Playtech has been continuing to release excellent games, most recently an arcade-style game, Cash Blox. The game is based on the classic Tetris game and it is sure to be a success. Players will find it at the majority of Playtech online casinos.